Wow. Just wow. 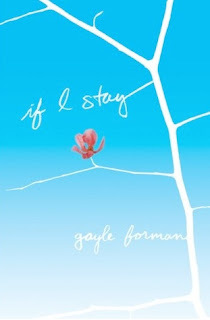 If you haven't read If I Stay yet, you need to drop everything and pick it up. It's the touching, mesmerizing, tragic and hopeful tale of Mia, her family, boyfriend and friends. If I Stay starts with a tragedy pretty early on, but through flashbacks, we are allowed to learn more about Mia's family and friends. I love the way each scene is doled out, bit by bit. The way Foreman intersperses the flashbacks among the real-time heartache, makes each scene that much more poignant. If I Stay is just as much a story of the bonds of family and the awkwardness and promise of a first love. The scenes with Mia and her boyfriend, Adam, are well-written and ring true to life. The way they are shy and a little weird with each other, at first, is the way I remember my first relationship to be, not "sweep me off my feet and run of into the sunset with scripted snarky words," but with timid, getting to know each other, tenderness. If I Stay is a tear-jerker, to be sure, so keep your hankies handy. However, I wouldn't call it a sob-fest and didn't feel the need to call the suicide hotline at the end. I love the question Foreman poses: if we could choose to stay, would we, knowing the heartbreak and loss that would lie ahead? I can't wait to read the sequel Where She Went to see how Mia handles the consequences of her decision. 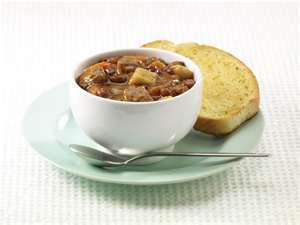 Good, old-fashioned comfort food. It sticks to your ribs and is good for you. This book sounds amazing, I like it when a book is written with flashbacks. Jess, It is amazing. I hope I'm not over-hyping it, but really I had heard about this book forever before I finally got a chance to read it and I was still loving it. I've heard nothing but great things about this book. It sounds amazing and i'm glad I read your thoughts on it. I'm planning to pick this one up soon. Awesome review! Wow- I have not heard of this book, but I just put it on my list. From your review it is a must read and the story sounds intriguing. I also really like the cover! Thanks for sharing.